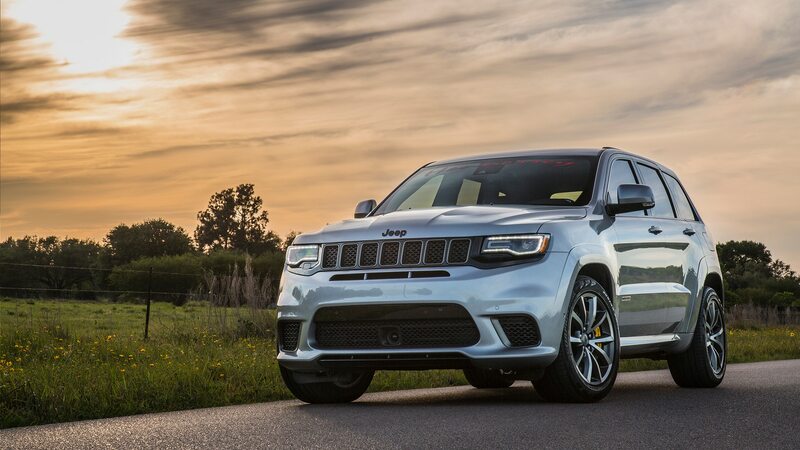 The Jeep Grand Cherokee Trackhawk may not have been agile enough to win Motor Trend’s Super SUV Shootout, but there’s no denying it’s seriously quick in a straight line. 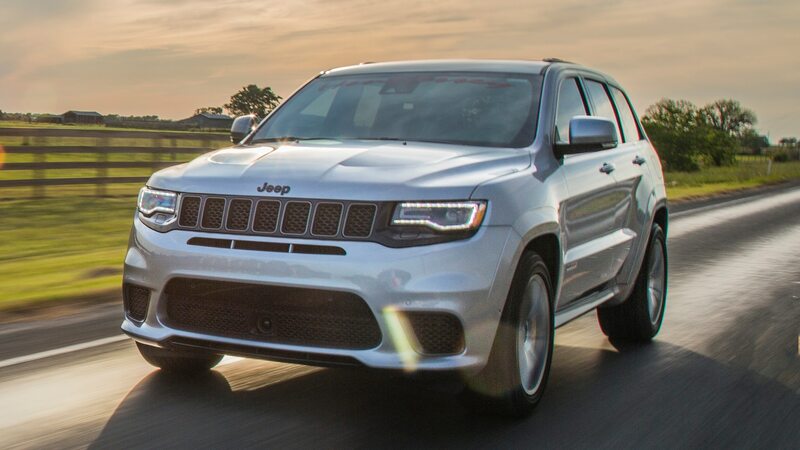 In fact, we even went so far as to call it the ultimate muscle SUV. 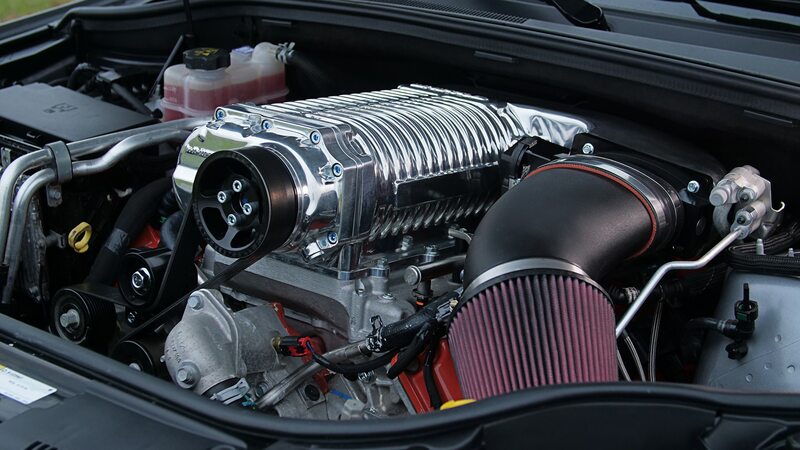 But what if 707 hp and an 11.7-second quarter-mile time aren’t enough for you? 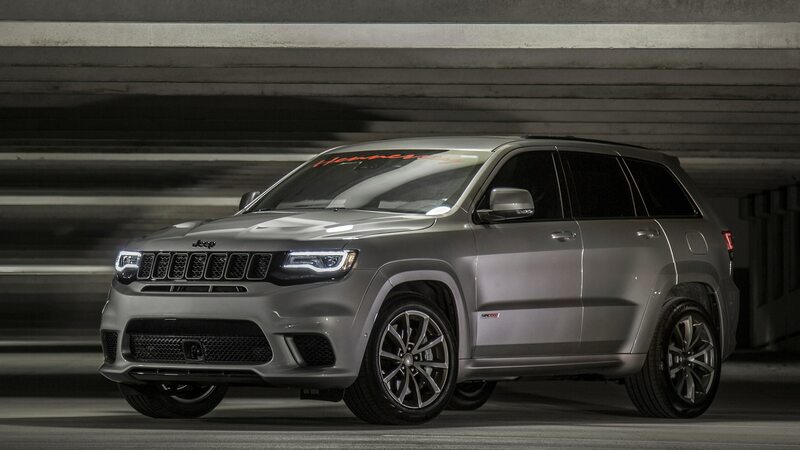 In that situation, you may want to call Hennessey and order its HPE1200 Trackhawk. 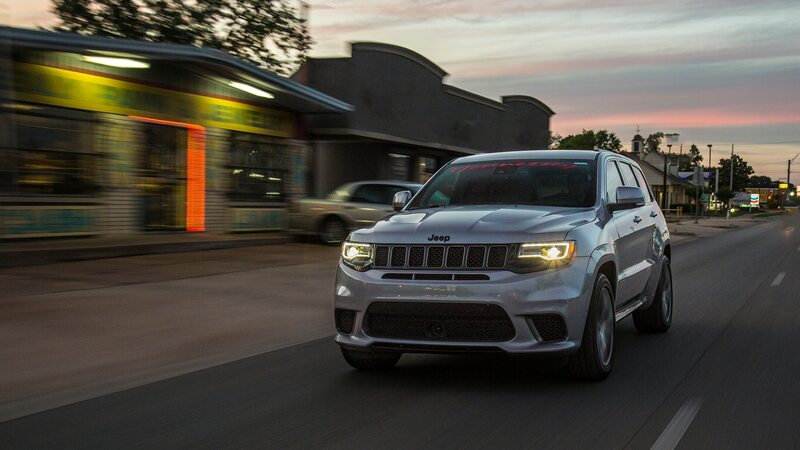 As the name suggests, the HPE1200 tune gives the Trackhawk a tire-roasting 1,200 hp. Or more specifically, if you can get your hands on 109-octane fuel, Hennessey claims an HPE1200-tuned Trackhawk makes 1,003 hp and 892 lb-ft of torque at the wheels. Assuming a 20-percent powertrain loss, that works out to roughly 1,200 hp and 1,100 lb-ft of torque at the crank. 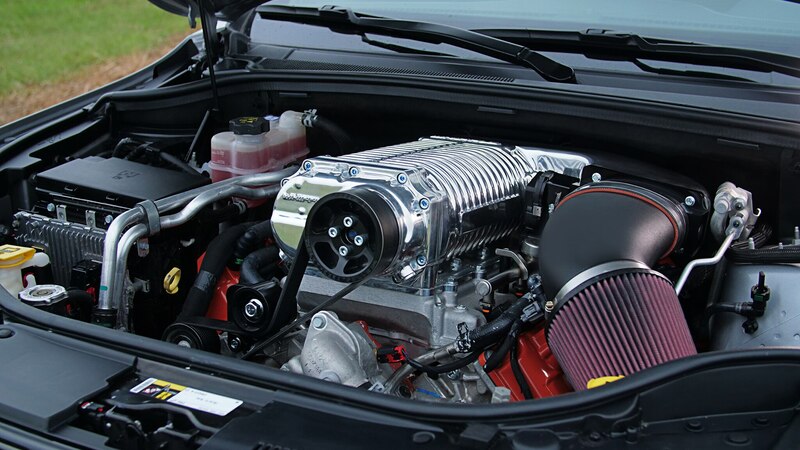 To get the engine to make an extra 500 hp, Hennessey says it upgraded the pistons, rods, and camshaft. 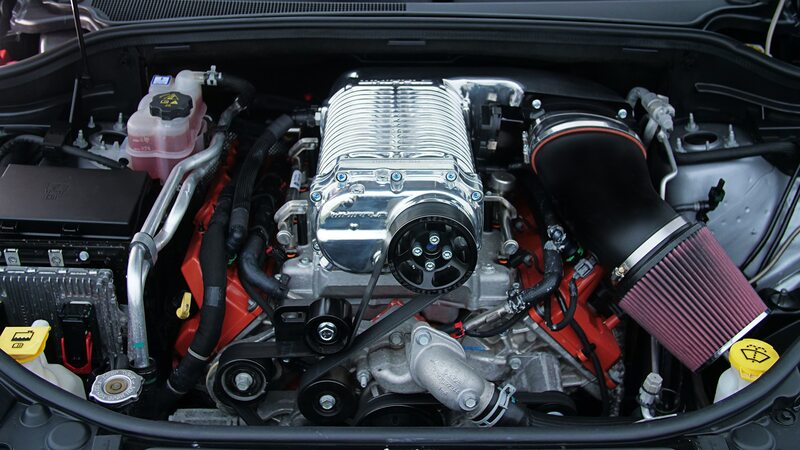 It also ported the cylinder heads, added long-tube stainless steel headers, and installed a 4.5-liter supercharger. 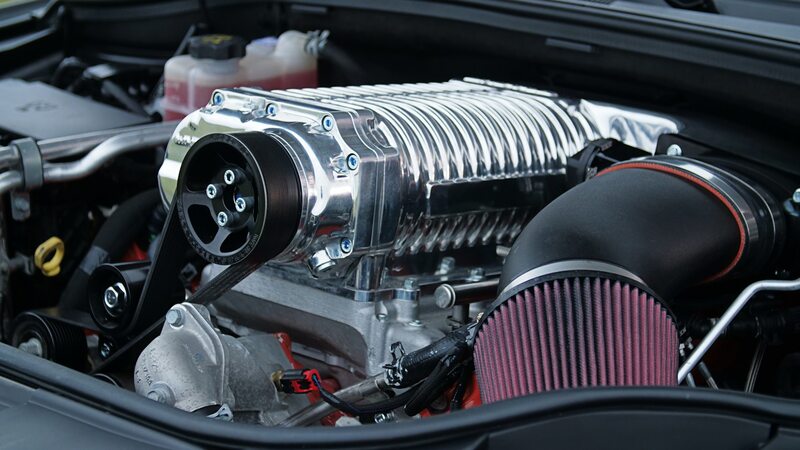 Those changes allowed the team to increase boost to 22 psi. 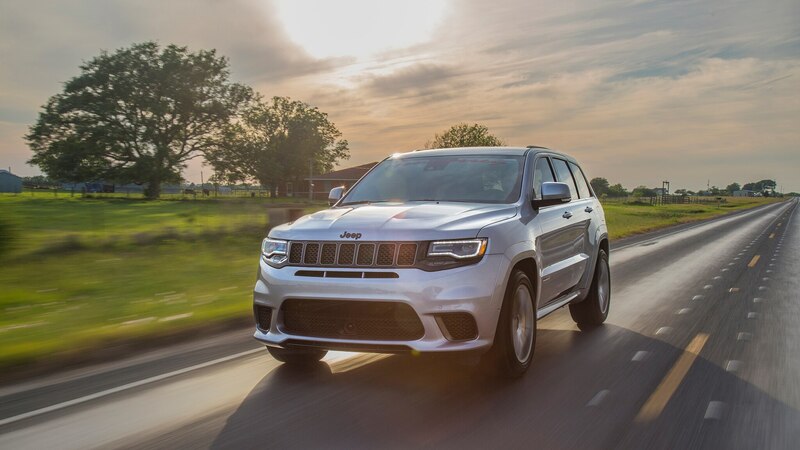 For better drag times, the HPE1200 Trackhawk comes with an M5-like rear-wheel-drive mode that allows drivers to warm up the tires with a burnout. Once the tires are warm, you can re-engage the front wheels for added grip. 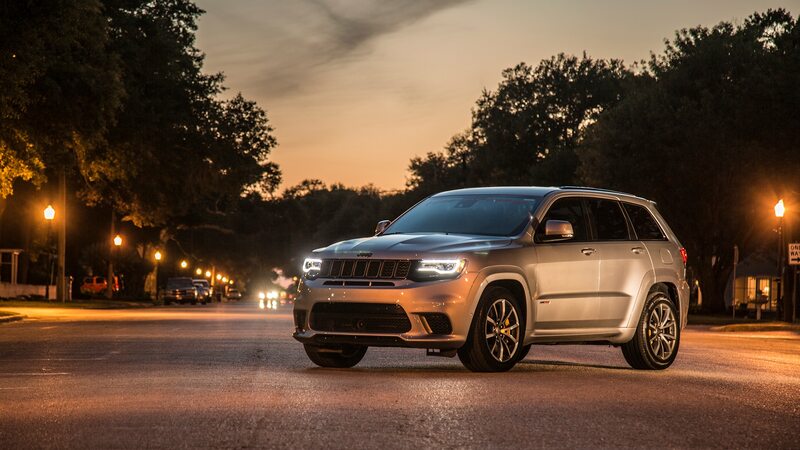 Based on the numbers Hennessey included in its press release, the HPE1200 turns the Trackhawk into an absolute monster on the drag strip. It did the eighth-mile in 6.27 seconds at 115.56 mph and laid down a quarter-mile time of 9.66 seconds at 149.49 mph. Hennessey also claims a 0-60 time of 2.3 seconds. If you want one of the 24 HPE1200 Trackhawks that Hennessey plans to build, though, it’s going to cost you. A lot. While the Trackhawk starts at $87,695 including destination, Hennessey says the base price of its HPE1200 starts at $179,000. 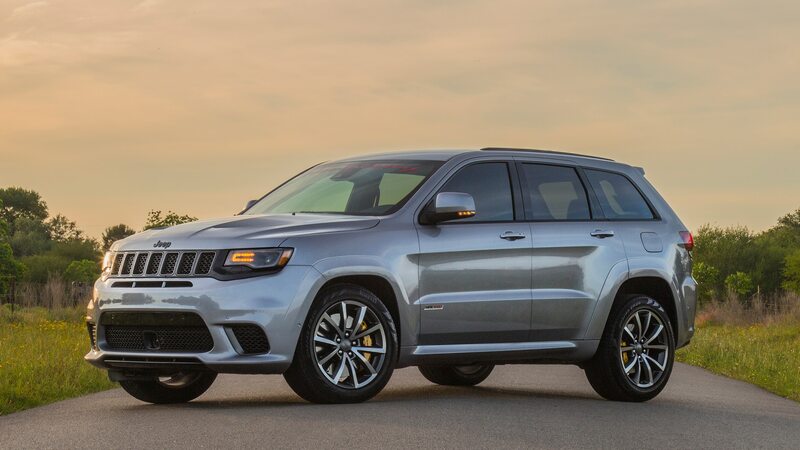 Then again, how many other SUVs can run a sub-10-second quarter mile?